Effective regional planning in the Indus basin necessitates greater transboundary data sharing on environmental indicators. Reliable hydrological data across political borders is essential to ensure more accurate and effective risk management mechanisms. Given the high vulnerability of this region to climate change, data sharing through existing regional cooperation organizations such as South Asian Association for Regional Cooperation (SAARC) and International Centre for Integrated Mountain Development (ICIMOD) must be further encouraged. 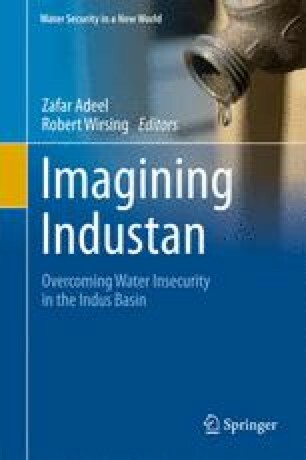 There is potential to also learn from the limitations of the data sharing mechanisms under the Indus Waters Treaty. Recent natural disasters have highlighted the need for urgent action on this matter, and thus the vision of “Industan” is not merely a peace-building ideal but a pragmatic risk management strategy, particularly for India and Pakistan.